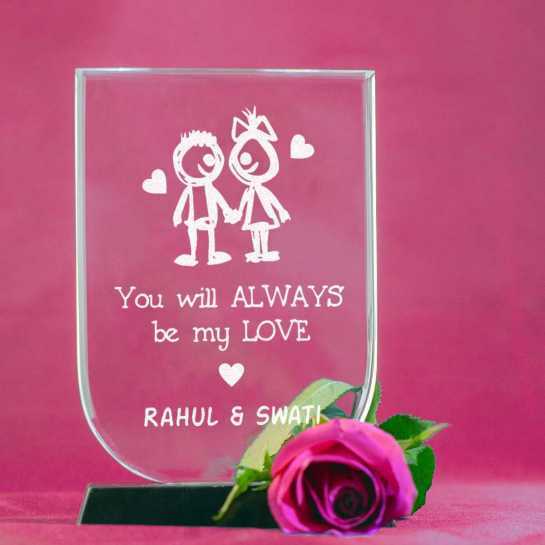 We artfully engrave your loving message to share with your loved one. The skilful, reverse-laser engraving process provides a stunning transparent mirage, creating a magnificent loving memento for display. Ideal for gifting on Valentine’s Day, Anniversaries and weddings.